U.S. Senate Minority Leader Senator Mitch McConnell speaks as Senate Minority Whip Senator John Cornyn looks on after a Republican Policy Luncheon June 11, 2013 on Capitol Hill in Washington, DC. 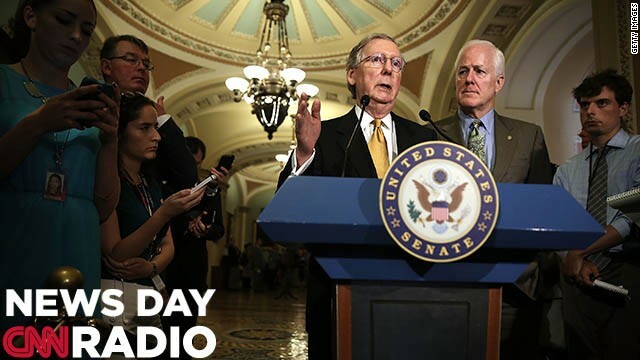 Senator McConnell spoke on various topics including immigration reform. Texas Gov. 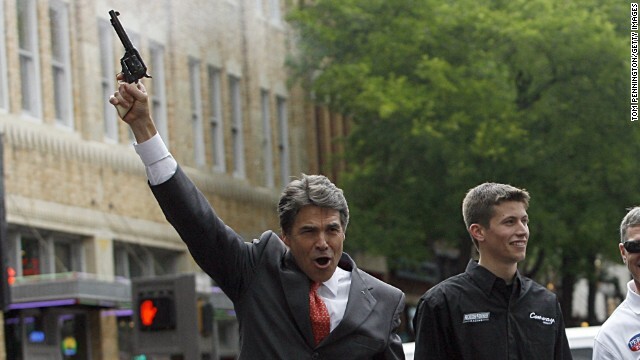 Rick Perry fires a six-shooter pistol. Following a recent acquittal in a murder case, a Texas law on use of deadly force is under scrutiny. (CNN) –In Florida jury selection continues in the murder case of Trayvon Martin. The case has drawn national attention for its elements of race and the question over when deadly force is justified. [6:33] "I don't quite understand why the national media hasn't discovered it in a greater way, this case is every bit as horrific and every bit as tragic." 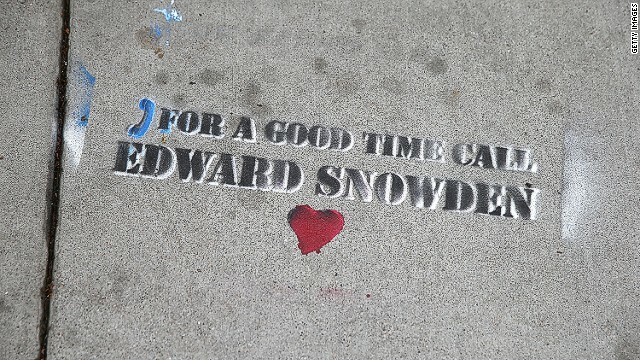 Graffiti focused on NSA leaker Edward Snowden sits on a sidewalk in San Francisco. (CNN) – With rare exception, leakers don’t come forward voluntarily. On Sunday though, when Edward Snowden and the Guardian revealed that he was the source behind the British newspaper’s bombshell stories about U.S. data collection, both the standard operating procedure and the way the public responds to these kinds of revelations may have changed. In the Guardian interview, Snowden insisted he was going public so that Americans could hear and judge his motives for themselves and engage in a public debate over security versus privacy.